If you’re fortunate enough to celebrate 4th of July in Sandestin/Destin, celebrate in true Emerald-Coast style by getting on the water. 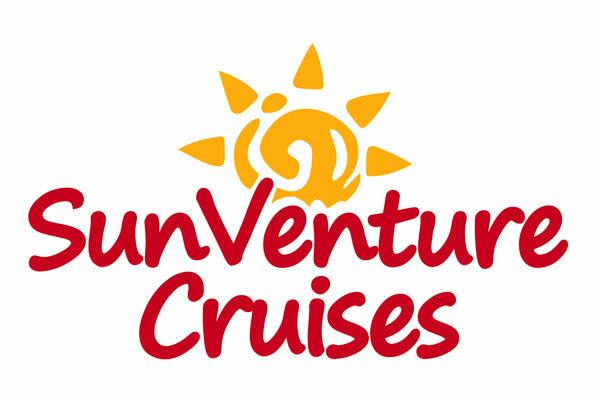 SunQuest Cruises offers a variety of truly memorable experiences on the water to celebrate 4th of July, including dinner, fireworks and reggae cruises with a Bob Marley guitarist. SunQuest Cruises SOLARIS yacht is hosting its annual 4th of July Fireworks and Dinner Cruise from 6 to 9:30 pm. Docked at Sandestin’s Baytowne Marina, the 125 foot yacht will cruise into the sunset while you enjoy a cocktail and fresh coastal breezes from the sky deck. Then indulge in chef-prepared coastal cuisines featuring everything from Beef Filet Mignon and Fresh Rosemary Chicken to seared Gulf Fish, Southern Crab Cakes and Gulf Shrimp & Grits. End the night with the best seat in the house as the sky above you illuminates with colorful fireworks. The SOLARIS also hosts Fireworks and Dinner cruises every Tuesday and Thursday from 7 – 10 p.m. View the weekly cruise schedules here. For a more casual experience, check out our sister boat, the SunVenture Catamaran, docked in the heart of Destin’s harbor. The 45 foot, sporty, water lover’s catamaran cruises the harbor every Thursday night and Friday, July 4th from 8:30 – 9:30 p.m. for an incredible fireworks show on the water. And what’s 4th of July in Destin without a trip to the legendary Crab Island? Relax in the waist-deep, emerald green waters for an incredible day of fun in the sun. View the daily cruise schedule here. You’ll want to extend your stay through the next week as the SOLARIS yacht hosts legendary Bob Marley guitarist Junior Marvin for a Summer Sunset Reggae Cruise on Monday, July 7th from 7 -10 p.m. As part of a Florida tour with Boukou Groove, Junior Marvin will perform a high-energy show that captivates rock, blues and reggae enthusiasts. Guests will cruise into the sunset on the 125 foot SOLARIS yacht while jammin’ to this incredible concert on the sky deck and indulging in authentic Jamaican cuisines. Cost is $100 per person, including three-hour cruise, concert and dinner. Limited tickets available. Reserve online or call 850.650.2519.